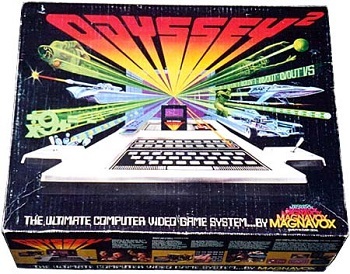 Vintage gaming from the 70's and 80's, now freely available online. The Internet Archive are the fine folks who have taken on the Sisyphean task of documenting the internet before it vanishes into a sea of white noise. While it's best known for running the Internet Wayback Machine, it also documents pretty much any kind of public domain data they can get their hands on, including old shareware discs. Now, the non-profit organization's turning its attention to gaming from the 70's and 80's. Called The Console Living Room, it features a host of vintage machines, all playable in a browser. The project hosts an armful of game consoles from the early years of home gaming. There's the Atari 2600 and 7800, the ColecoVison with its odd controller, the Magnavox Odyssey 2, and Bally's Astrocade. Each console has a large number of games which can be emulated right in a browser, and some even have the manuals to peruse. You have classics like, Yars' Revenge and Q-Bert, but also really odd balls like Chinese Logic on the Odyssey. Imagine trying to release a game with that title today! With the homogenization of modern consoles, it's easy to forget just how disparate early gaming was. Releases had yet to fall into any sort of standardized schedule to facilitate great "console war" marketing gimicks, and controls were anything but similar. It really was a bunch of talented engineers throwing out ideas, trying to decide what to make of these newfangled electronic toys. While playing these games with a keyboard on a computer hardly compares to sitting in front of a fuzzy TV, having free access to our cultural roots can only be a good thing.